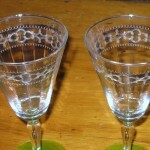 I saw these water goblets on ebay and decided to buy. I thought it would be a cinch to identify this etch/blank. Looked very much like something Fostoria would have produced. Well I can honestly say that it DOES look like something Fostoria would have produced, but I haven’t been able to nail it down. Thought maybe Tiffin produced them, but so far no luck finding a match for Tiffin either. The blank itself is not particularly unique although the pieces are heavier than usual. I keep wanting to borrow a black light from our friend Dave to see if the pieces, and a few others, are Vaseline. 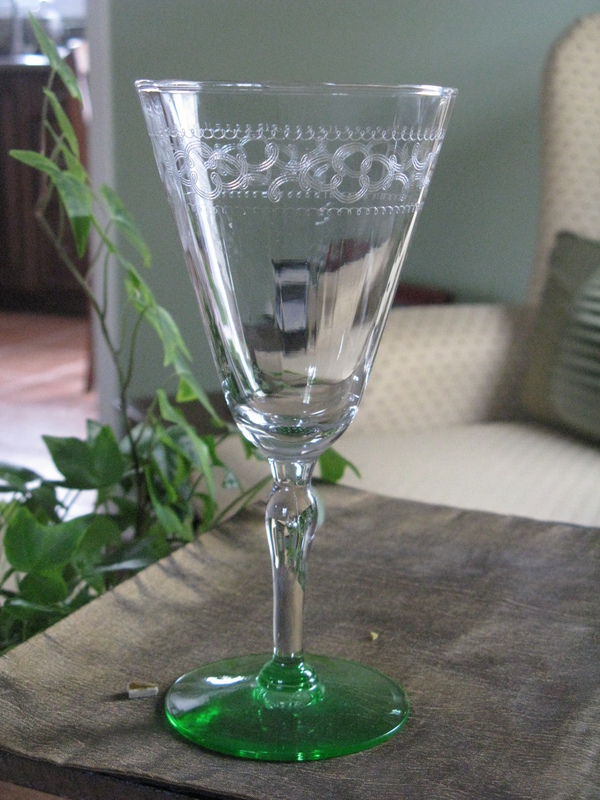 Read more about this glass at this website. I have a pair of these glasses too . Trying to name mine I seen your post . My glasses do glow apple and the green base glows even much brighter. Hi – I never have identified these stems. 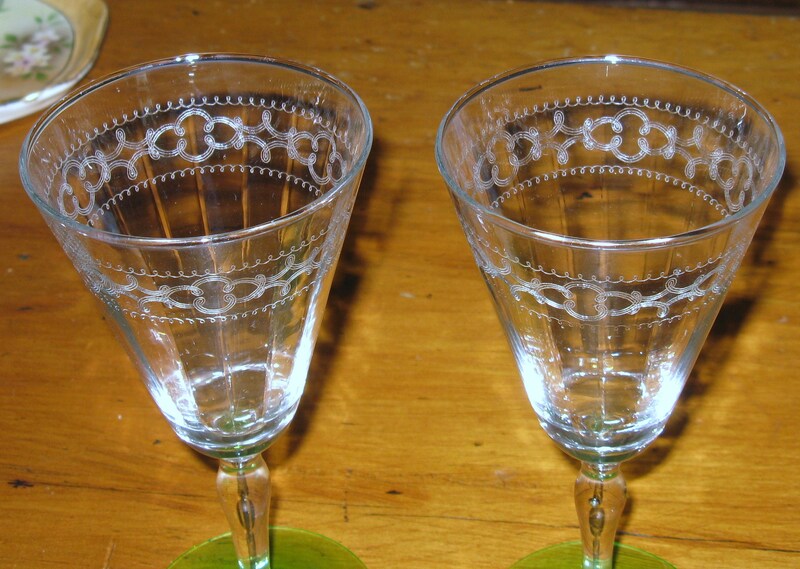 These needle etched pieces and this shape of glass I think were manufactured by lots of companies. Thanks for sharing and good luck identifying them! cheers. d.b.